Nitrogen discharges to surface waters from power plants are increasing as technologies such as selective catalytic reduction units, electrostatic precipitators, and flue gas desulfurization systems are installed to comply with more stringent air emission requirements. The nitrogen generated by these processes is being transferred to surface water discharges. Concurrently, water quality impairments by nitrogen, new instream nutrient criteria, and anticipated effluent limitations on total nitrogen discharges are now actively being pursued by regulatory agencies. Although only a few power plant National Pollution Discharge Elimination System (NPDES) permits reviewed during this 2008 feasibility assessment contain nitrogen limits (or monitoring requirements), the promulgation of nutrient criteria (which will be followed by effluent limitations), is anticipated for Ohio in 2008, Kentucky and along the main stem of the Ohio River by 2010, and West Virginia by 2011. 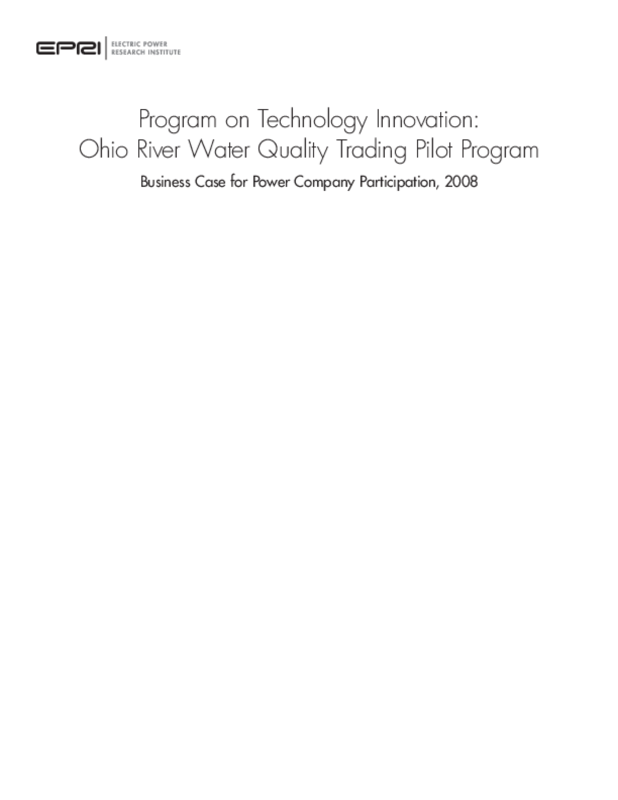 A preliminary feasibility analysis, described in this report, presents a strong business case for power company participation in the development and promotion of a water quality trading program in the Ohio River Basin. Such a program has the potential to reduce costs of complying with water discharge restrictions. Copyright 2010 Electric Power Research Institute, Inc. All rights reserved.